Copa del Rey semi-finals will bless football fans with the second El Clasico of the season. 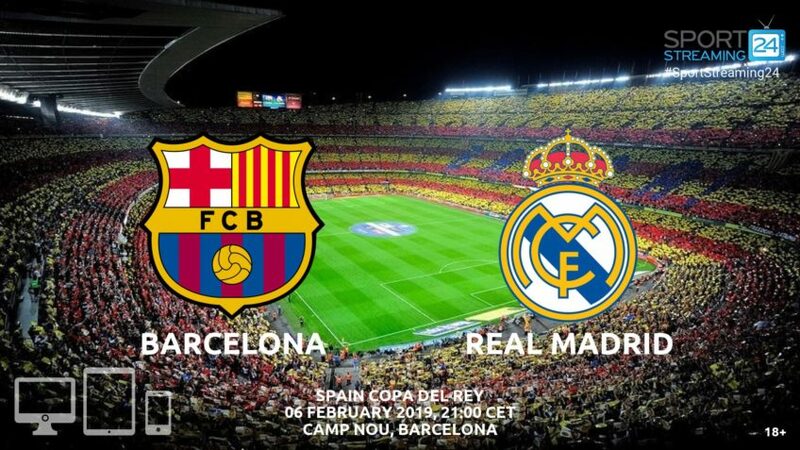 Barcelona will host Real Madrid at the Camp Nou in what will be the 239th official meeting between the two rivals. Barca head to the game following a disappointing 2-2 draw at the weekend against Valencia. Blaugrana needed a Lionel Messi brace to salvage a point from a 2-0 deficit. Messi also hurt his right leg in the game and he missed Monday’s practice, which makes him doubtful to feature on Wednesday. Rafina and Samuel Umtiti remain out, while goalkeeper Jesper Cillessen, who’s played in every cup game thus far, has also injured himself and won’t be available. Real, who beat Alaves 3-0 at the weekend, is much healthier compared to their fierce rivals, with only Jesus Vallejo and Luca Zidane out. Neither plays an important role either way, so Santiago Solari gets to pick his best available team. Los Blancos have been in great form over the last four weeks, winning seven of eight matches across all competitions, including five straight. It’s their best run since winning six in a row in March-April last year. Real Madrid has won 95 of the previous 238 competitive meetings, while Barcelona has managed 93 wins. The last 0-0 in 90 minutes of play came in 2002. Barcelona won the first meeting of the season 5-1 thanks to a Luis Suarez hat trick. If Messi can’t play, he’ll be looked at to produce the magic again. Suarez has scored nine goals in 12 career appearances against Real. Centre-back Raphael Varane, who was suspended for Sunday’s league game, will be back and he’ll be expected to keep Suarez in his back pocket.